Siskoid's Blog of Geekery: One Panel #354: When Did Luthor Lose His Hair? Maybe Supes was holding on too tight, and all of Lex's hair came off with the hood. 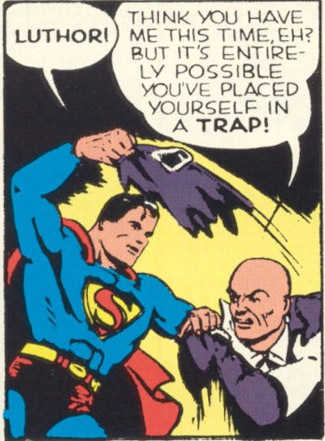 Lex Luthor creates the original "Getting caught was my plan all along!" trope.